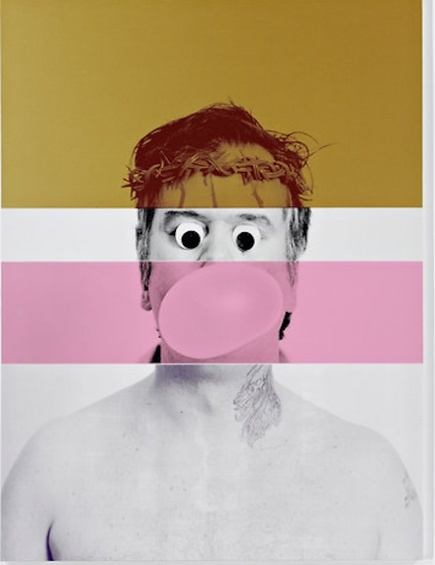 Rob Pruitt, Exquisite Self-Portrait: Jesus Christ Superstar, 2010. Join Gary Carrion-Murayari, Curator, for a visit to the Brooklyn studio of Rob Pruitt. Since the early 1990s, Pruitt has been known for his playful and provocative investigation of cultural and social issues in the United States. Using drawing, installation, and found objects, Pruitt interrogates contemporary visual culture, its representations of race and gender, and the New York art world. In 2013, the artist presented his fourth annual Rob Pruitt Art Awards, a performance piece styled like the Oscars and the Grammys but for the art world. The Museum will provide round-trip transportation to and from Brooklyn. RSVP by February 7 to Clare Quinlan at cquinlan@newmuseum.org or 212.219.1222 ×270.